Even though I'm looking forward to the holidays, does it stress anyone else out?! All the pressure of decorating, shopping for presents, and the temptation of sweets unfortunately makes my skin break out. Between the stress and dry winter air, my skin is not happy with me! 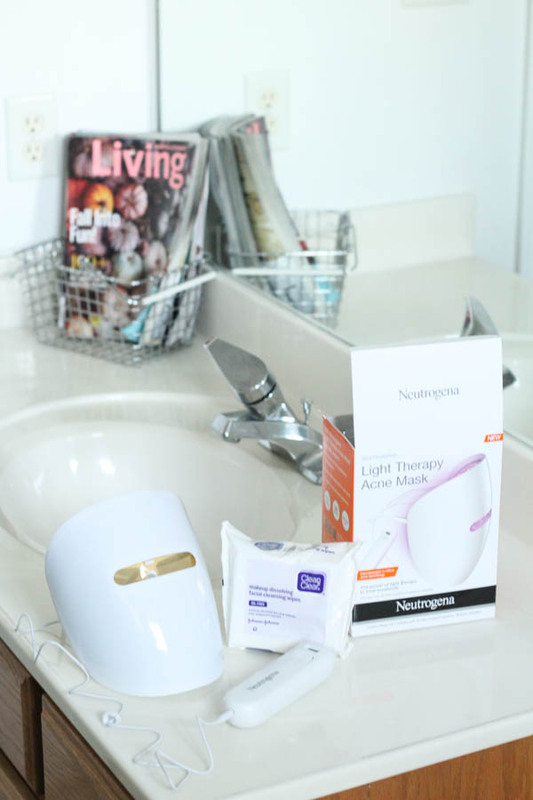 I'm excited to try out the new Neutrogena® Light Therapy Acne Mask, since it has the same technology that was previously only offered in dermatologist offices for $500 acne treatments. I picked this up in the acne aisle at Walmart, right next to all the Neutrogena products. First I opened up the box to pull out the instructions and take a look at all the fun goodies! The product is pretty straightforward and easy-to-use. 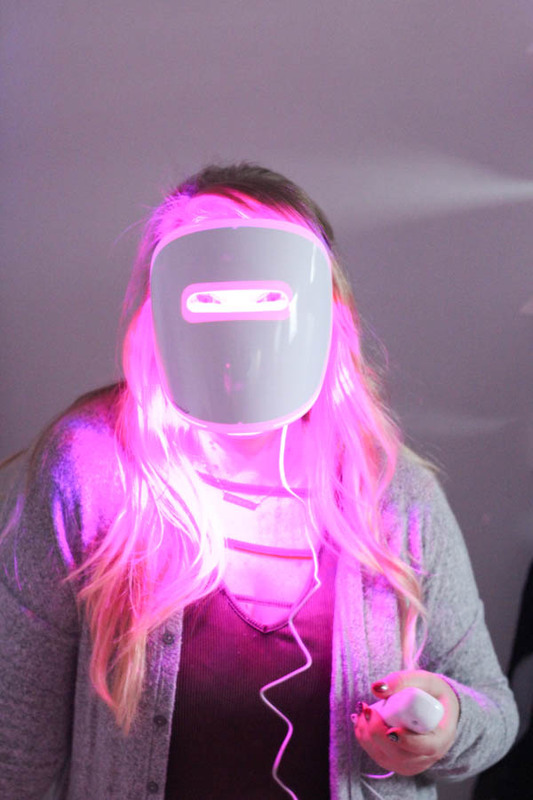 The mask comes with a 1 month supply/30-day Neutrogena® Light Therapy Acne Mask Activator, which has a countdown indicator which shows that you have 30 uses left and when activated it does an automatic countdown of the 10 minutes per use. 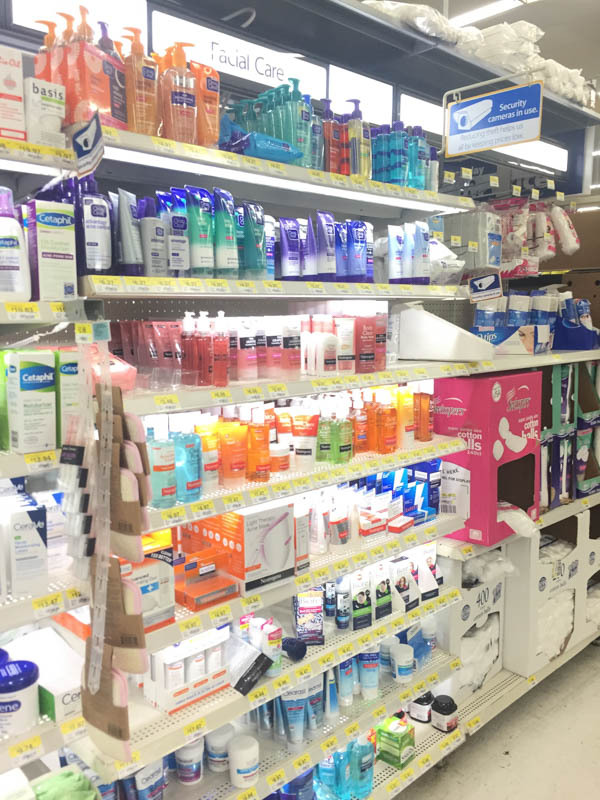 Every 30 uses, you would pick up a new activator at Walmart for an affordable $14.97 (.50 per day)! 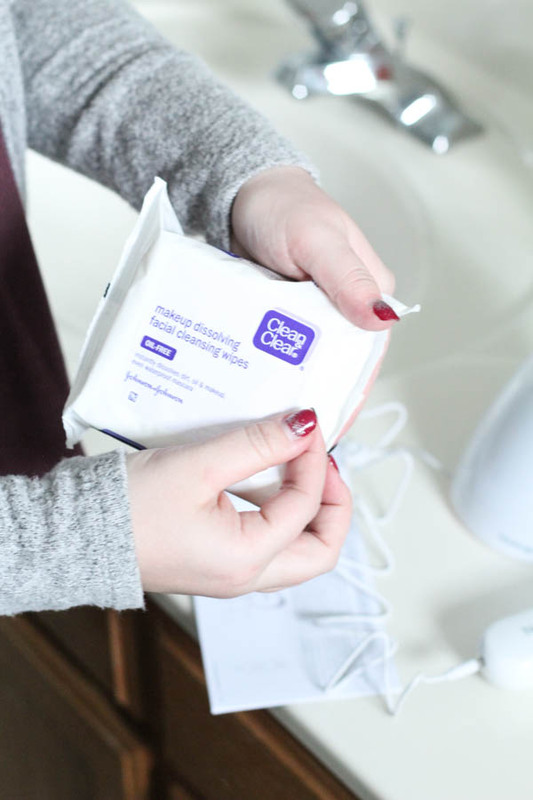 Before starting my light therapy session, I used the Clean & Clear® Makeup Dissolving Wipes to clean up the makeup and residue off my face in one good swipe! It is gentle on my skin, and is so effective that I don't have to do a basic rinse on my face. 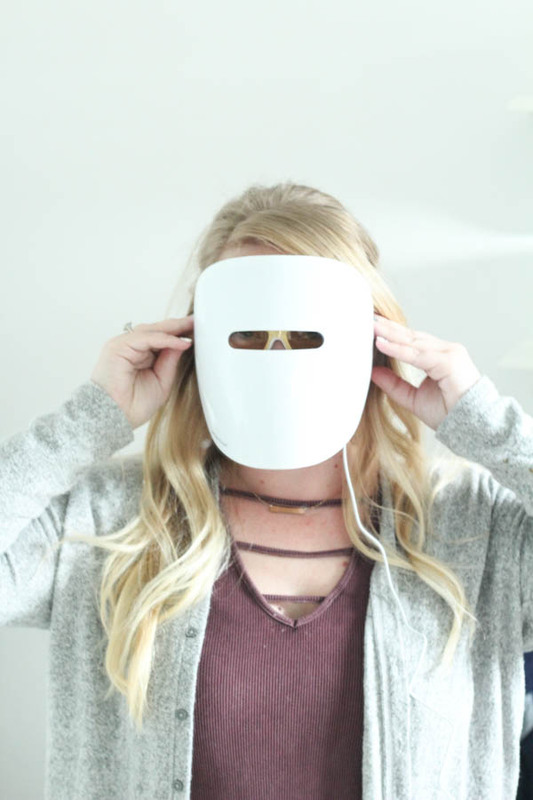 The mask is lightweight, and has a nice eye slot so I could read magazines while passing the time! I plugged the mask into the activator and followed instructions to start my 10 minute session. In a clinical study, there were noticeable results on participants after only 1 week of use. How crazy awesome is that?! Even though I'm literally glowing, the UVA/UVB-free light is not hot at all! 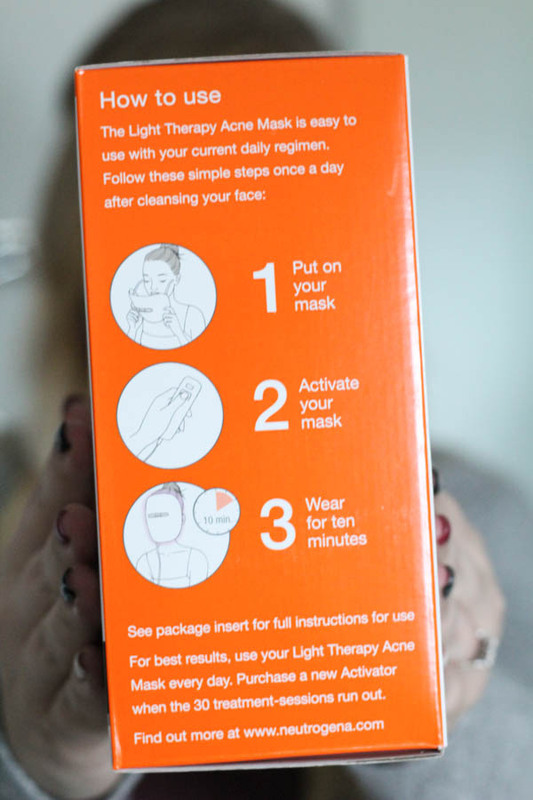 What I'm stoked about, is that the light targets acne-causing bacteria without using harsh chemicals. 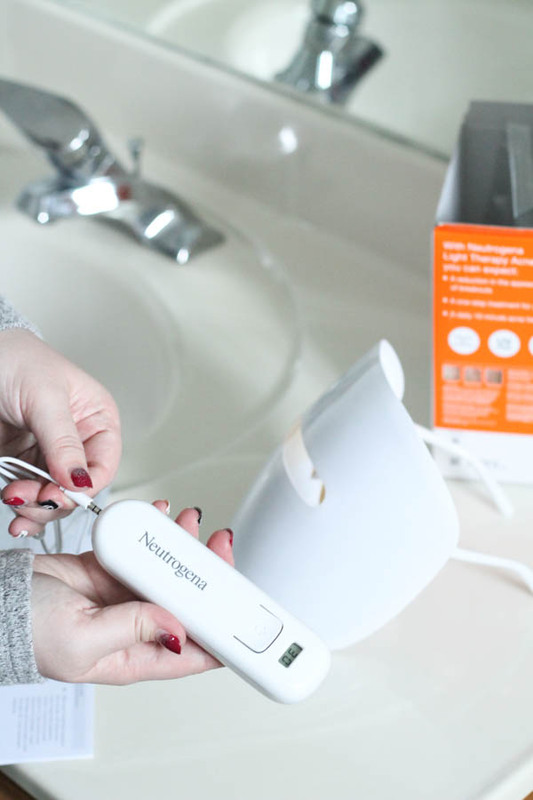 My skin is so sensitive, and this light therapy doesn't aggravate it, which is a huge plus in my book! 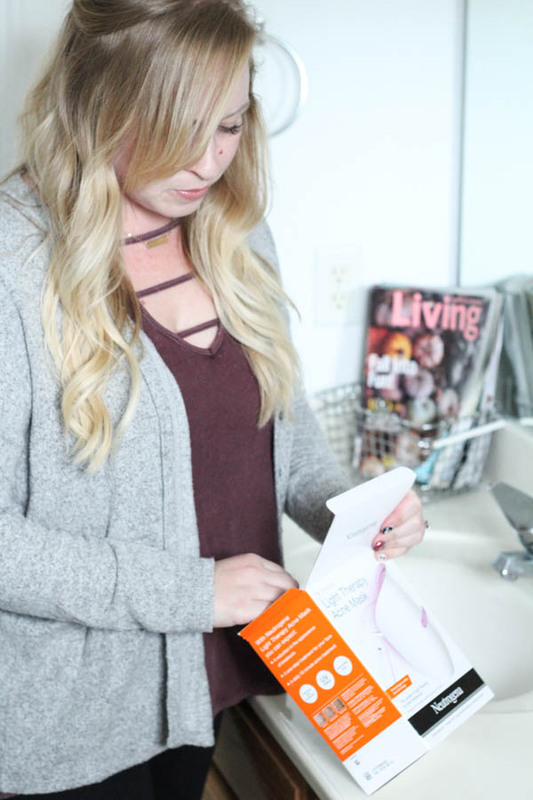 I plan on using this mask for the next month, and I'm looking forward to showing you the results! 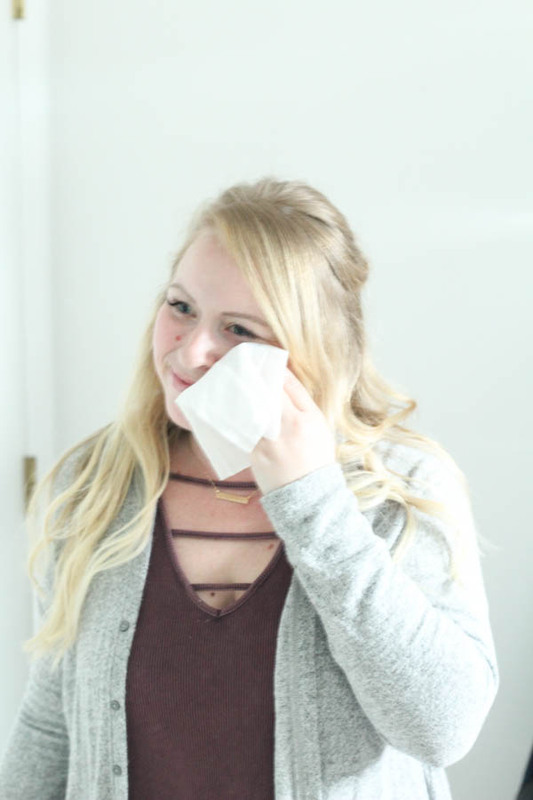 Does your skin break out during the holiday months? 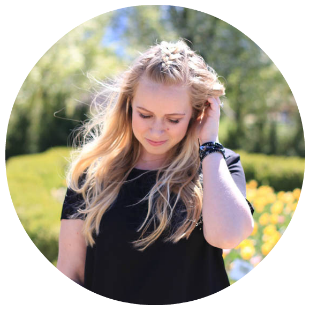 Are you looking for an easy-to-use and fast acne treatment? 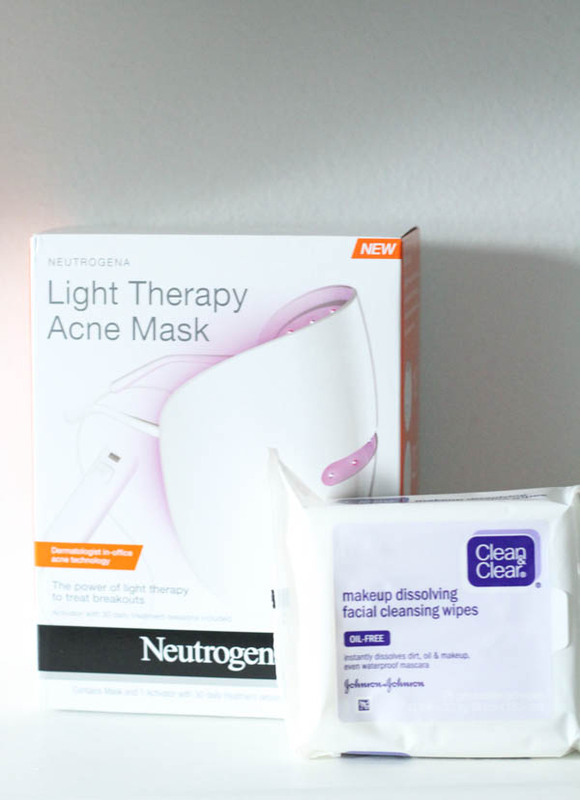 Try the Neutrogena® Light Therapy Acne Mask with me!